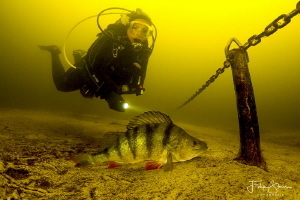 A diver investigates a perch in the fresh water of Vinkeveen in The Netherlands. 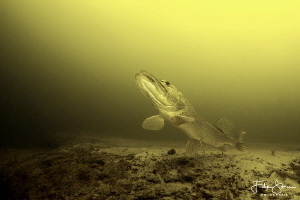 The golden glow of the water comes from the peatery. Model: Marlène Terpstra.